Black wood picture frames offer a contemporary modern look that can please any taste, whether you’re framing your favorite concert poster, a fine art print, or black & white photography for your living room. It’s hard to go wrong with a black wood frame. Are you framing black & white photography for a gallery exhibition? This is your frame. 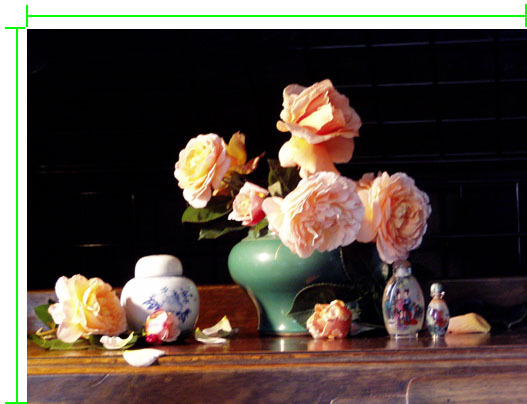 Color photography? Prints or ink drawings? Perhaps you have a cool screen-printed concert poster or movie poster. Again, this frame is a practical choice to meet your needs. Even original paintings such as oil or acrylic on panels would be accommodated by this simple black frame moulding. If you’re the kind of person that has difficulty making decisions, then this is your go-to picture frame. It might just save the day, but more than likely will only save you 20 minutes of designing when all you want is simplicity, neutrality, and versatility. No frills, just a black gesso wood frame. This simple and affordable gallery-style black wood picture frame offers a neutral and versatile look for original fine art photography and other matted works on paper, in addition to original fine art paintings on canvas, giclee prints on canvas, and other items. The profile width is ¾”, and the rabbet depth is 1”, enough to accommodate stretched canvases up to 1” thick. This iconic black picture frame moulding is probably the profile you had in mind if you were looking for a standard, basic black picture frame. You could spend hours searching the internet for such a frame, but this is the one you were likely imagining. This profile is 1 1/4” wide, and features a 11/16” rabbet depth. This contemporary black wood picture frame is a very popular frame option. The profile starts with a small step on the inner lip, and features a flat shape across the span of the profile. The width of the profile is 1 ¾”, and the rabbet depth is 5/8”. This smooth contemporary black wood picture frame features a small step along the inside edge, and offers a strong, bold look for black and white photography, colorful artwork with bright colors, and posters such as music venue concert posters. The profile width is 2 3/8” and the rabbet depth is ½”. Black antique finish plein air picture frame. The profile width is 7/8”, and the rabbet depth is 1 11/16”, ideal for shadowbox designs featuring floated three-dimensional objects. Original paintings on canvas up to 1 ¾” thick are also a good pairing with this deep black shadowbox frame, or you might try framing a giclee print on canvas, matted prints, or black & white photography where a particularly deep side wall is the desired aesthetic. This high-gloss black-lacquer wood picture frame represents the glamorous Hollywood Regency era of modern living, as interpreted by designer Jonathan Adler for Larson Juhl Moulding. The profile width is 7/8”, and the rabbet depth is a substantial 1”, making this classy black frame ideally suited for both matted works on paper such as fine art photography, and also paintings or giclee prints on stretched canvas. Gloss black picture frame inspired by the glamorous style of the Hollywood Regency era, this Bel Air moulding, designed for Larson-Juhl by Jonathan Adler, adds a pop to any frame design. The black lacquered finish of this wood picture frame lends itself to Asian design sensibilities and style, while remaining relevant in a contemporary setting. Movie posters, fine art photography, original silkscreen prints, pop art, and floated memorabilia could all work well in this black lacquer wood picture frame. This black picture frame has reddish flecks and a textural lacquered finish with hand rubbed edges, a contemporary take on authentic Asian style. This simple black wood shadowbox picture frame features a substantial rabbet depth of 2 ¼”, ideal for framing deep shadowbox items such as jerseys, memorabilia, hobby collections, and floated objects. The profile width is 1”. Gloss black picture frame. 5/8 inch frame. Gloss black picture frame. Super Gloss. 1 inch frame. Small black picture frame flat black. 1/2 inch frame. This small of a frame should not be built with either size larger than 24 inches. It’s the understated simplicity of this thin, dark espresso wood picture frame that makes this profile ideal for smaller keepsake photographs and other matted items on paper. The profile features rounded edges, a deep, dark espresso finish, a profile width of 1/2”, and a 7/16” rabbet depth. This small black wood picture frame features a series of 7 linear ridges and 6 accompanying valleys that offer a geometric accent full of symbolic connotations. The profile width is 5/8”, and the rabbet depth is 7/16”. This black picture frame moulding offers a contemporary modern feel with design inspiration rooted in ancient Greek design styles, including geometric patterns and spatial concepts rooted in symbolism of the era. This profile is ideal for fine art prints, drawings, and paintings on paper, especially art that utilizes strong graphic elements and geometry, hard lines, and high contrast design styles. This contemporary black shadowbox frame features a 1 ¼” wide face, a rounded outer edge, and a 1 5/8” rabbet depth, ideal for original fine art paintings on stretched canvas, along with giclee prints on canvas and shadowbox designs that include shadowbox walls and glazing. This contemporary charcoal black shadowbox picture frame features a fine grain pattern and smooth finish over a wood substrate, with a rounded outer edge. The profile width is 1”, and the rabbet depth is 1 ¾”. This deep black wood shadowbox picture frame offers a substantial 2 ½” rabbet depth and is ideal for framing thick objects and memorabilia. The profile 1 ¼” wide, and features a swan shape with rounded ridges to highlight a satin sheen. Whether you’re looking to float your art, such as a watercolor painting on deckled paper, or stack this frame with a fabric frame liner such as Linc-bk, this distressed black shadowbox frame has plenty of depth. For shadowbox designs, possible contents may include collectible spoons, stamps, postcards, travel souvenirs, wine corks, concert tickets, a christening gown, a marathon race bib and medal, and many other items. Clean, contemporary wood picture frame from Larson Juhl. Frame is very dark gray and has a dusty metallic sheen to it. This smooth, sleek, contemporary black picture frame features a concave scoop that climbs to an outer depth of 1 1/8”, while the inner rabbet depth is 7/16”. The overall profile width is 1 ½”, making this black picture frame ideal for medium sized matted items paper or thin material. This charcoal gray and black wood picture frame offers a voluptuous curved peak along the outer edge of the profile, with a near-black finish on a flat inner section. The profile width is 1 ¾” and the rabbet depth is 1”, ideal for both matted works on paper and stretched canvas paintings. This black wood picture frame moulding has a look that is reminiscent of antique Chinese-lacquered furniture. The inner lip features 4 various steps that each reveal a red line along the edges of each step, implying age and wear. Red represents the base coat that sits below a lacquer finish. This black lacquer-style picture frame features red highlights along the edges of the profile, and inverted beading for a decorative quality reminiscent of traditional Asian art and decor. The profile width is 1 ¼” wide with several subtle, linear curves to create ridges that highlight an eggshell or satin finish. This dark plum wood picture frame features a smooth finish on a slightly scooped profile that is substantial and deep. The profile width is 2 1/8”, and the rabbet depth is 1 ½”, making this frame ideal for shadowbox designs, deep canvases, and any art where a relatively hefty or chunky look is desired. Black picture frame with dusty grey wash. This gorgeous, thin, ornate, black wood picture frame features decorative ornamentation that resembles a ballet slipper pattern, along with a dark gray wash in the crevices to simulate age. The profile width is a mere ¾”, with a ½” rabbet depth, making this ornate black picture frame ideal for matted works of art on paper, and other thin items. This thin black decorative picture frame features an ornate pattern that pairs a set of three dots along the outer edge with a set of 3 curved reliefs that repeat down the length of the moulding. The patterned high points are complemented by a dark brown wash that sits in the crevices to simulate an aged look. This decorative black wood picture frame features a cross pattern reminiscent of the Celtic Cross of Cuthbert from the Byzantine era, on a frame profile that also points to the Spanish Renaissance style. The black color offers warmth, with subtle red highlights on the high points and the ridges of the cross pattern. 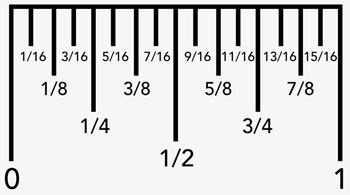 The profile width is 1 3/16” and the rabbet depth is ½”. This textured black wood picture frame offers an historic engraved pattern look over a gesso base on a wood substrate. The crevices are then coated in a gray wash to mimic aging. The profile width is 1 9/16”, and the rabbet depth is 7/16”. This dark, vintage-style, hammered metallic and distressed wood picture frame moulding is a unique choice for black & white vintage photos, and also for fine art intaglio prints such as aquatint, drypoint, and other black & white etchings. The profile begins with a slightly patterned black inner lip, followed by a small ridge and then reversed, indented beading. A small convex curve follows, and then a subtle groove and final flat area finish off the shape of the profile face. The finish has a dusty, dark, and almost silver finish, along with distress markings throughout. Flat black picture frame with red/pink wash in the small beaded lip. Great photo picture frame. Frame is flat black with light gray wash in the ornate and bead areas. Plumb black picture frame with lotus petal pattern, great wall picture frame. Aged black picture frame, silver beaded lip with very heavy dark. This contemporary black wood picture frame features a small step on both sides of the profile, with thin red highlights that complement imagery that features red and black designs and motifs, especially Chinese art such as calligraphy, dragons, and branches or landscapes. This angular black wood picture frame by Omega Moulding features red highlights along all edges of the profile, with a broad beveled inner lip that ascends, and then drops suddenly to a descending angle that leads to the outer edge. The profile width is 2”, and the rabbet depth is 9/16”. Black contemporary profile from Larson Juhl. Swan back gives frame a great modern look. The smooth linear ridges and flat panel body of this modern black and burgundy wood picture frame point to the refined simplicity of a modern chesterfield aesthetic. The profile width is 3 ¼”, and the rabbet depth is ½”, making this frame best suited to thin items such as beveled mirrors and matted artworks on paper, along with stretched canvas paintings up to ¾” deep. This black picture frame moulding is a classy step up from a basic black frame due to thin metallic silver lines on both corner edges of the profile face – perfect for framing wedding portraits or other black & white photography. When a standard black picture frame isn’t enough, try this sleek, contemporary black picture frame which features the classy look of metallic silver pin-striping along both edges of the profile to highlight the elegance of a nighttime flat black aesthetic. This smooth black picture frame features thin metallic-silver pin-striping along both edges of the profile, offering a classy upgraded look from a standard black picture frame. The profile width is 1 5/8”, and the rabbet depth is 5/8”. Large beaded plumb black picture frame with red undertones. The decorative beauty of undulating rose petal flute patterning with a scooped profile make this ornate plum and black wood picture frame ideal for still life paintings and Asian home decor, along with other themes. The profile width is 1 ½”and the rabbet depth is 5/8”. Frame a picture with this black ornate frame with red undertones & dusty dark gray wash.
Black wood picture frame with red highlights & an ornate undulating petal pattern.